HEMC was designed for improved workability properties of all kinds of dry-mortars(tile cement, cement based render, thermal insulation mortar and gypsum plaster),HEMC is a new product family designed to give superior performance in hot climates . MF-series products are non-perishable products. It is recommended to use the products in rotating on a first out basis. of the packed product will/may increase if not stored dry. 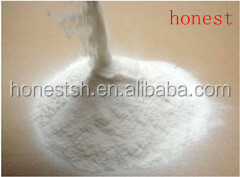 200g free samples are always supplied ,so if you need ,pls contact us freely. Shanghai Honest Chem. Co., Ltd.